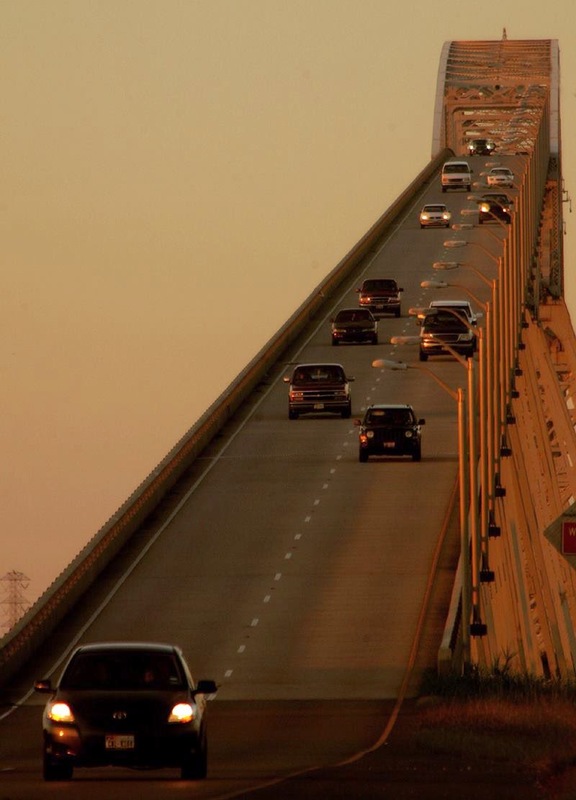 The Rainbow Bridge is a cantilever bridge stand on Neches River in Southeast Texas just upstream from Sabine Lake. 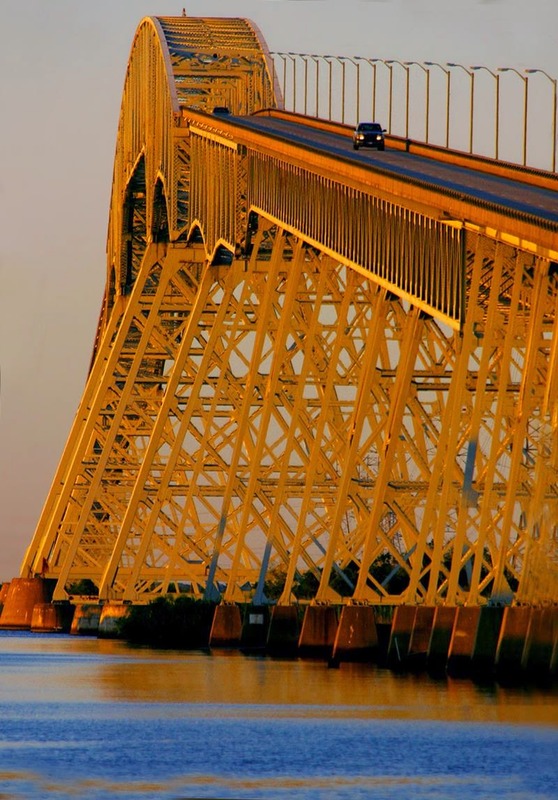 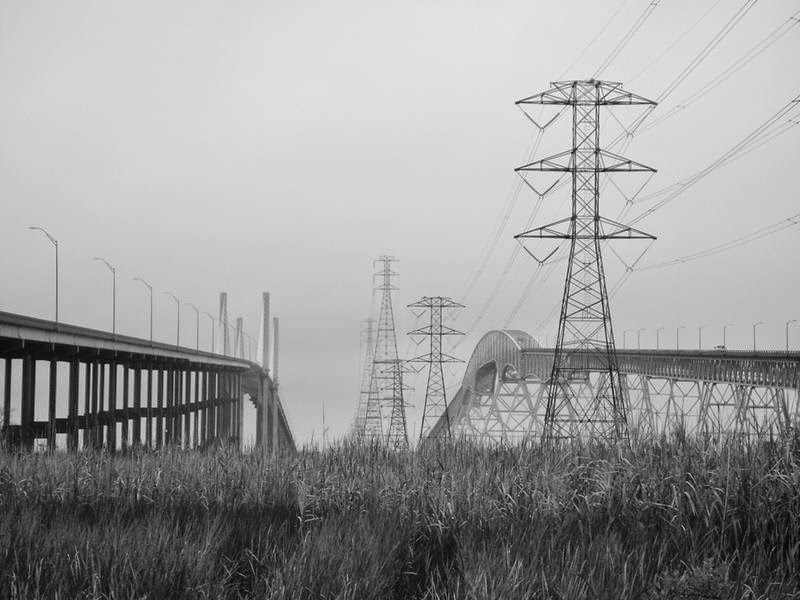 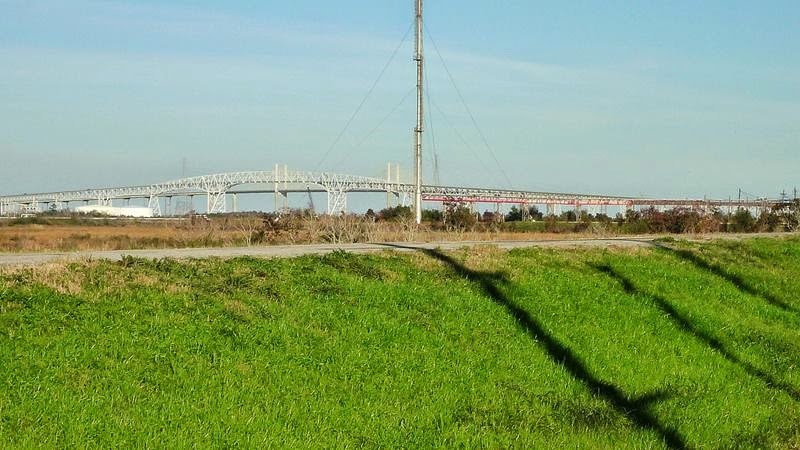 It allows State Highway 87 and State Highway 73 to connect Port Arthur in Jefferson County on the southwest bank of the river with Bridge City in Orange County on the northeast bank. 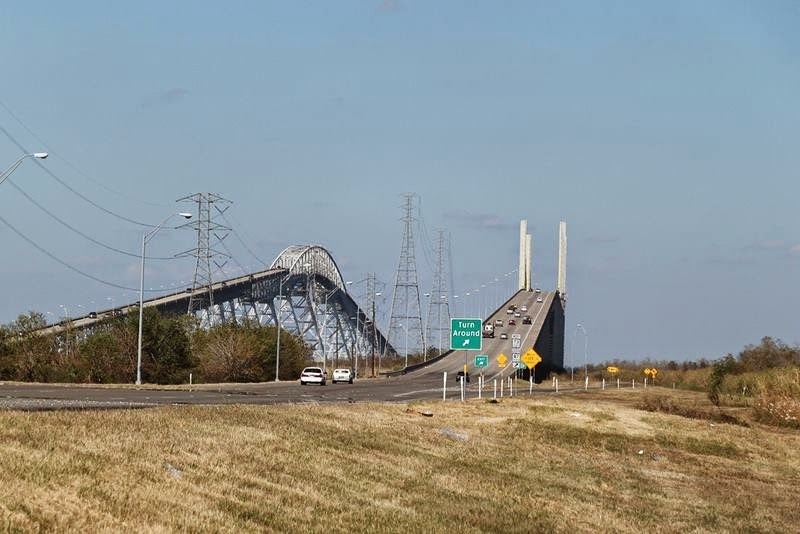 Construction on the bridge began in 1936 under the guidance of the Texas State Highway Department. 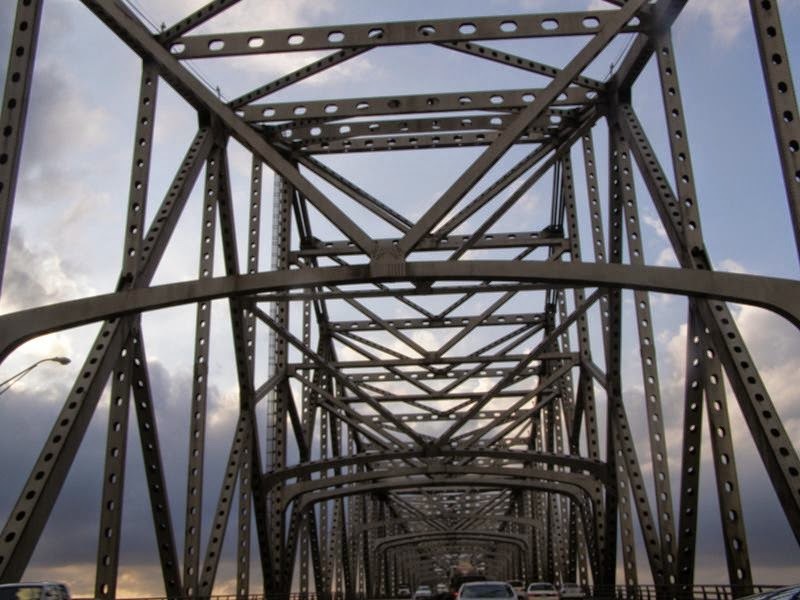 The bridge was completed on September 8, 1938. 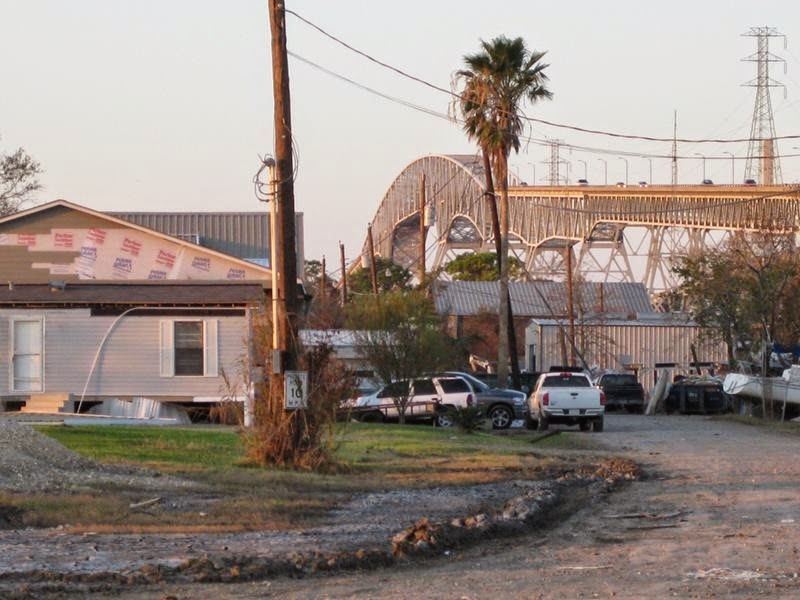 The nearby town of Prairie View took on the name "Bridge City" in response. 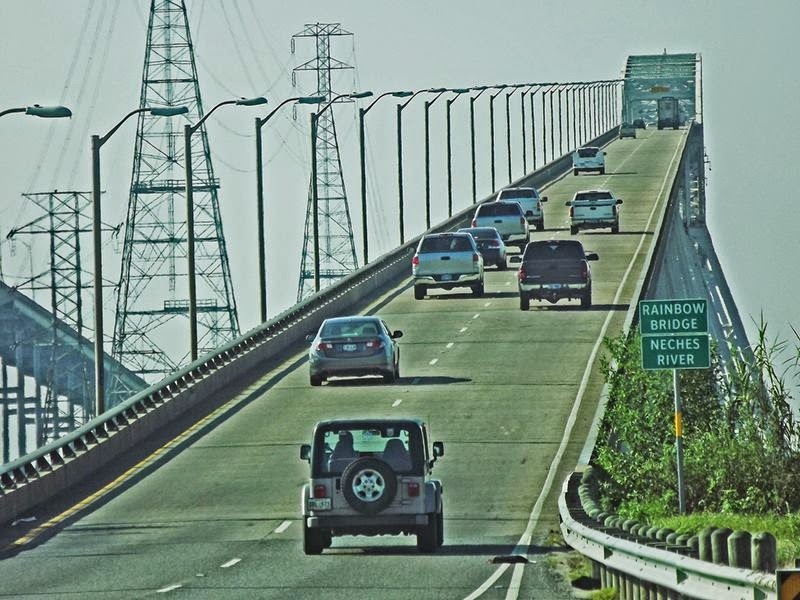 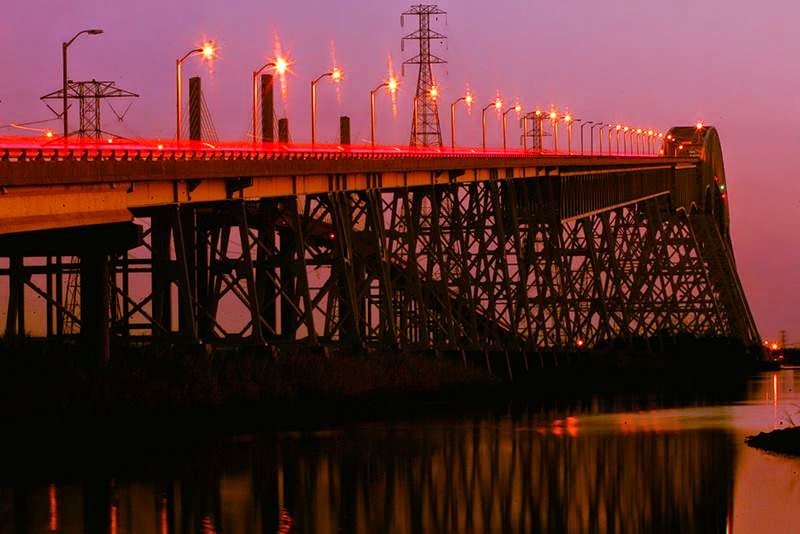 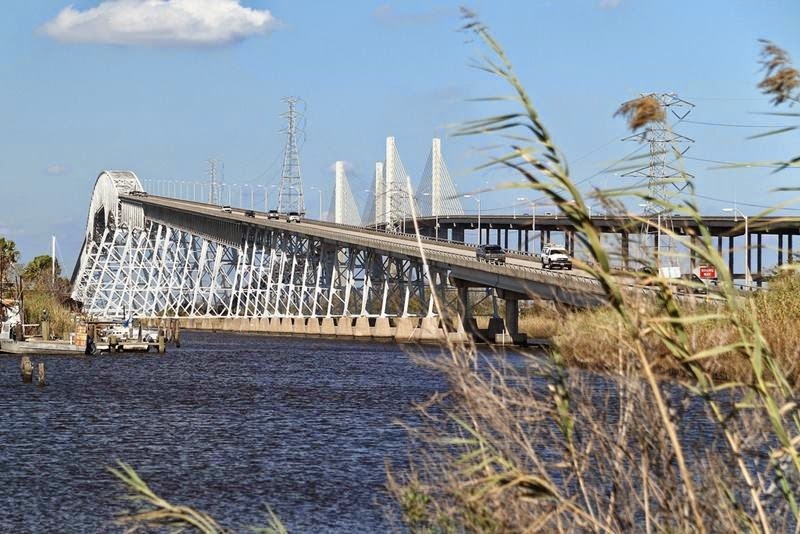 Due to concerns by the upstream city of Beaumont about the bridge posing a threat to ship navigation, the south’s tallest bridge, spanning 176 feet above and 680 feet across the Neches River. 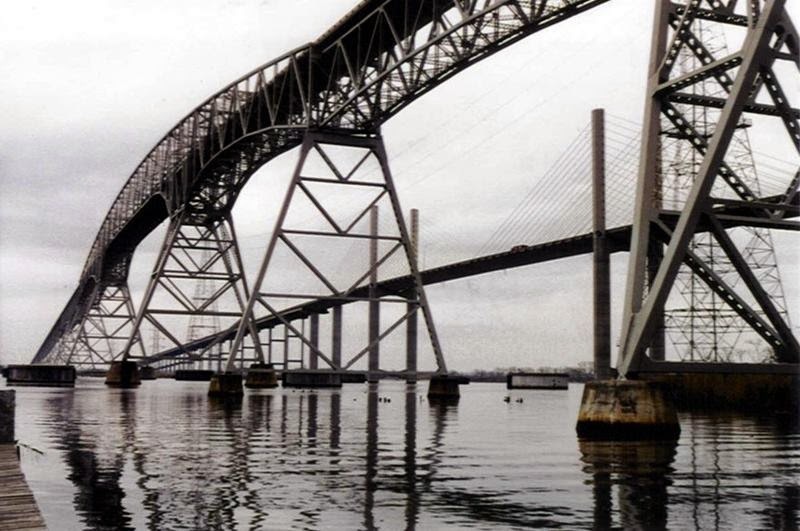 Adjacent, is the Veteran’s Memorial Bridge, the sister span to the Rainbow Bridge.